The 26th story in the Falling Into College series by Richard Lobinske. The story occurs during late July, 2000. Daria as Katherine by RLobinske. 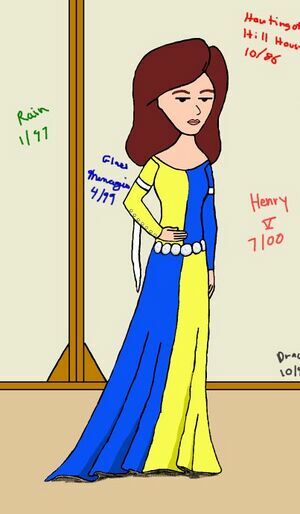 Daria prepares to perform as Katherine in her theater class's production of Henry V. Daria finds that, except for passes from the boorish leading man, she has enjoyed the experience. Mystic Spiral gets been hired to perform for the cast party. Helen and Jake are unable to attend, but Quinn does make it to Boston to squeeze into the apartment along with the band. This page was last edited on 10 June 2013, at 00:11.